WICHITA – A Kansas man was charged in federal court today with making a deal to buy two tiger pelts in violation of the federal Lacey Act, according to U.S. Attorney Stephen McAllister. 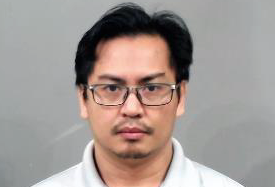 Ret Thach, 38, Wichita, is charged with one count of violating the Lacey Act, which prohibits interstate sale or purchase of animals that are covered bythe Endangered Species Act. In court documents, investigators allege Thach reached an agreement to pay $8,000 for two tiger pelts to be delivered to him in Wichita. Thach also agreed to pay traveling expenses for a seller from Wisconsin to drive to Wichita to deliver the pelts. Thach did not know that the seller was an agent of the U.S. Fish and Wildlife Service working undercover. According to court records, the agent informed Thach that selling the pelts across state lines was “absolutely illegal.” Thach told the agent he already owned “a lion and a lot of bears” and wanted to go ahead with the deal to buy the tiger pelts. Thach said he wanted the pelts for his home office. If convicted, Thach faces a penalty of up to five years in federal prison and a fine up to $250,000. The U.S. Fish and Wildlife Service investigated. Assistant U.S. Attorney Matt Treaster is prosecuting.